Statistically, Jordan Spieth excels in several key areas of the game. More than a few myths and misunderstandings have crept into the golf conversation recently, especially regarding Jordan Spieth and Dustin Johnson. Let’s use Strokes Gained data to shed light on some of the “facts” I’ve been hearing. I hear a familiar refrain regarding the reigning Masters and U.S. Open champion: Sure, he’s a well-rounded player, but he isn’t great in any one area. 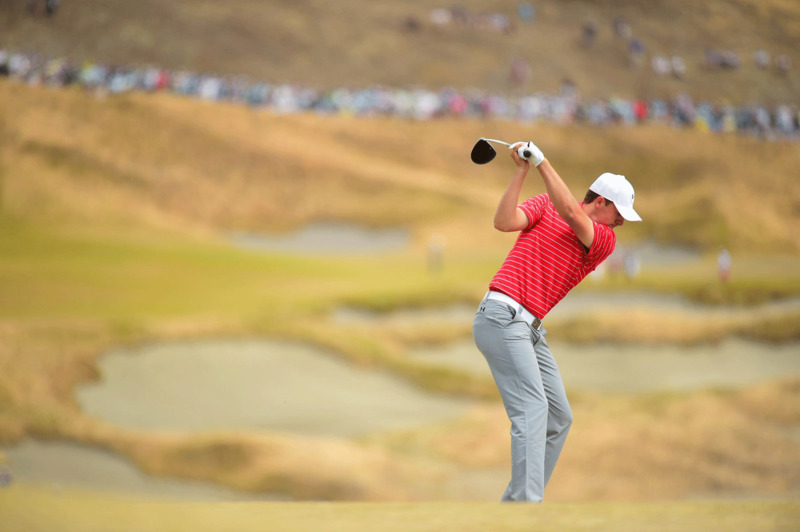 Indeed, through mid-July, Spieth’s performance in traditional categories wouldn’t make a stat-lover’s jaw drop. He was 76th in driving distance, 85th in driving accuracy, 49th in greens in regulation, and 40th in total putting. Statistically, that’s average—but it’s utterly misleading. Why? Because traditional stats are flawed. Strokes Gained reveals a much clearer snapshot of Spieth’s performance this year. Entering the British Open, he ranked first in overall Strokes Gained (gaining 2.6 strokes per round on the field), 12th in driving (0.6 strokes per round), seventh in approach shots (0.8 strokes), sixth in the short game (0.6 strokes), and seventh in putting (0.6 strokes). Spieth is outstanding in every key area. That sounds “great” to me. Midway through 2015, Dustin Johnson was second in putts per green in regulation and 13th in putts per round, suggesting that he’s among the Tour’s best on the greens. But those two categories can be misleading because neither accounts for the initial putt distance. Johnson takes fewer putts because (in large part due to his incredible driving) his putts start closer than average to the hole, not because he’s a good putter. Strokes Gained accounts for the initial putt distance and gives a very different result: D.J. ranked 125th in putting. Watch him and you may be convinced that Strokes Gained is a more accurate measure of pure putting skill. Yes, the top players are awfully good with short-iron approaches—just not as good as you may think. Let’s look at 100-yard shots from the fairway. On TV, you’d think the pros always stuff it to inside 10 feet. Television, however, showcases the best shots hit by that week’s hottest players. In fact, Tour pros hit only half of their 100-yard shots to within 16 feet of the pin. Recreational players perform much worse. From 100 yards in the fairway, they hit half their shots to within 37 feet of the hole. To save strokes in your game, consider working on 100-yard iron shots. You likely have huge room for improvement. Off the tee, the longest drivers on Tour—such as Johnson and Bubba Watson—gain more than one stroke per round on the field. Johnson and Watson average 20 yards longer than the Tour average on each of 14 drives per round, which means they’re playing a course that’s effectively 280 yards shorter than the field faces! Watson gains an average of five strokes on the field in a four-round tournament. That’s a tremendous advantage. As for the best putters? Well, the top players in Strokes Gained putting pick up an average of 0.8 strokes per round—that’s a big edge, to be sure, but less of a gain than the top three drivers enjoy. While Tour pros sink 90 percent of their putts inside 10 feet, that’s a misleading figure. The vast majority of those putts start inside three feet. In fact, pros make only 40 percent of their 10-footers. Guys like you and me only drain 20 percent. That’s a big gap, so when you’re looking at areas of your game to shore up, consider practicing a lot more 10-footers.